Please read over each volunteer job description and its requirements. Let us know where you think you would like to spend your time. Many volunteers choose to work in more than one capacity, which is wonderful! 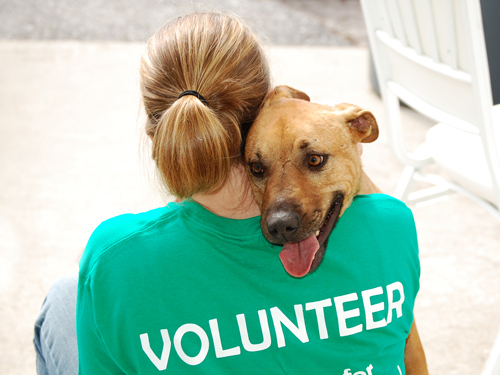 Volunteering at an animal shelter can be fast paced, emotional and very rewarding. The duties you perform will directly benefit the animals. The animals you will see and care for will be with us an average of 4-6 weeks, until we find them a responsible, loving home. You must focus on what you can do to make their time at the shelter as comfortable and pleasant as possible. 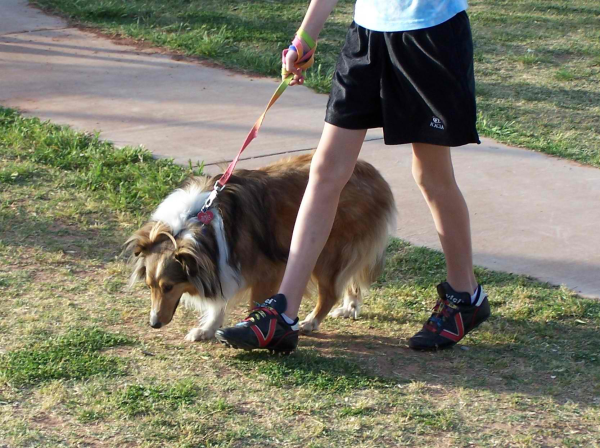 Goal: The goal of the Dog Walking Volunteer is to ensure that the dogs get human interaction, fresh air, potty breaks and exercise daily. Time Commitment: As much as you and your heart can give! Duties: Basic duties include potty breaks (poop scooping included), exercise, basic obedience training, hands-on socialization, minor grooming and kennel cleaning. ONLY dogs with a kennel card AND a walking clip may be taken out by a volunteer. We DO NOT WALK puppies unless they have been fully vaccinated (3 rounds) and have been approved to go outside by Animal Services. Training: Completion of Volunteer Orientation and Dog Walking training. Qualifications: Must be at least 16 years of age. Must have good physical strength and the ability to handle animals that are shy or rambunctious. Must be able to work independently and adhere to all HSCC safety and animal handling regulations. Goal: Cat Cuddling Volunteers give cats the opportunity to get socialization and exercise daily. Duties: Cat cuddling volunteers spend the most time with shelter cats one-on-one.Basic duties include taking approved cats to a play room, observation, hands-on socialization and grooming. We DO NOT TOUCH any kittens unless they have been fully vaccinated (3 rounds) and approved for handling by Animal Services. Training: Completion of Volunteer Orientation and Cat Cuddling training. Time Commitment: Two or more hours (depending on location). Each location is scheduled on the same day and same time each month (i.e. the first Tuesday of a month at 2:00) with the same “team” visiting each time. Duties: Pet Assisted Therapy involves taking animals to care centers, retirement homes and nursing homes for therapeutic interaction with residents. Some sites have a specific location for visits and some require visiting room to room. 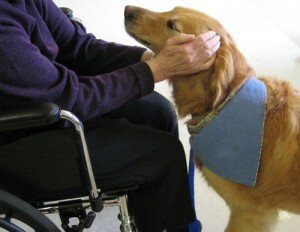 Not only is it therapy for residents, but also therapy and a great way to socialize the animals. It gives us information about the animals that we are able to use and share in their adoption process. Team members will meet at the shelter, sign in and receive the names of animals chosen for Pet Assisted Therapy that day. The animals are given exercise and potty breaks prior to their visit. 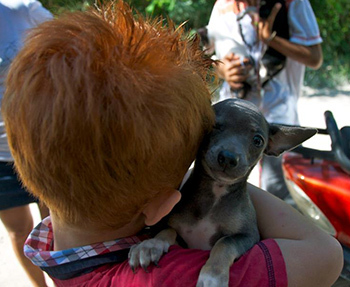 Volunteers are responsible for the transportation, care and clean-up of the animals while away. We are expected to be punctual; many locations have schedules. If you cannot make the scheduled appointment please let the Volunteer Manager & your team member know and/or contact another Pet Assisted Therapy volunteer as a replacement. Training: Completion of Volunteer Orientation, Dog Walking, Cat Cuddling and Pet Therapy training. Qualifications: Must be at least 16 years of age. Must have a valid driver’s license and a vehicle to transport the animals. Must be able to work independently and adhere to all HSCC safety and animal handling regulations. Duties: Shelter/Clerical volunteers provide much needed assistance to HSCC staff and help the animals in many different ways. Duties may include laundry, preparing food bags, spot cleaning, greeting & directing visitors, working in the Retail Area, assisting Adoption Counselors or Animal Services, and clerical duties such as helping with fliers, pamphlets, mailings, paperwork and computer entry. Training: Completion of Volunteer Orientation, Dog Walking or Cat Cuddling training and on-the-job training. Qualifications: Must be at least 16 years of age. Must enjoy working with a wide variety of people, have good organizational skills and be able to work independently and in a team environment. Time Commitment: On call as needed for Outreach Events such as school visits, programs, summer camps, group visits, parties, street fairs, festival booths, fundraising events, parades, Adoption Showcases, etc. Duties: As experienced volunteers, you will act as ambassadors. Duties include educating the community on services and programs offered at HSCC, passing out literature & HSCC publications, answering animal related questions, soliciting donations, organizing & working fundraisers and ensuring the community knows the value of our Humane Society’s services. Qualifications: Must be at least 16 years of age. Must possess excellent communication skills and enjoy interacting with large groups and a variety of people. Must be able to work independently or in a team environment. Training: Completion of Volunteer Orientation, Dog Walking and/or Cat Cuddling training, and Foster Care training. Qualifications: Must be 18 years of age. Foster care volunteers must be willing and able to take animals into their homes. Must be able to make the commitment to provide specialized care if needed for short or extended periods of time. Must be able to work independently but be able to follow exact instructions. Foster Care Providers report directly to Animal Services. You must provide all transportation for your foster animals to and from the veterinarian’s office and the shelter. Foster Care Providers MUST abide by the Foster Care procedures! Time Commitment: Usually a one-hour meeting a month plus the time you commit to getting the committee work done. 1. Special Events: Assist with events and programs to help raise funding for HSCC and assist with marketing the shelter. 2. Golf Tournament Committee: Our annual golf tournament is held in August. The committee meets regularly to organize the details.